SKU: Model: WPT01. Category: Alternative Energy. 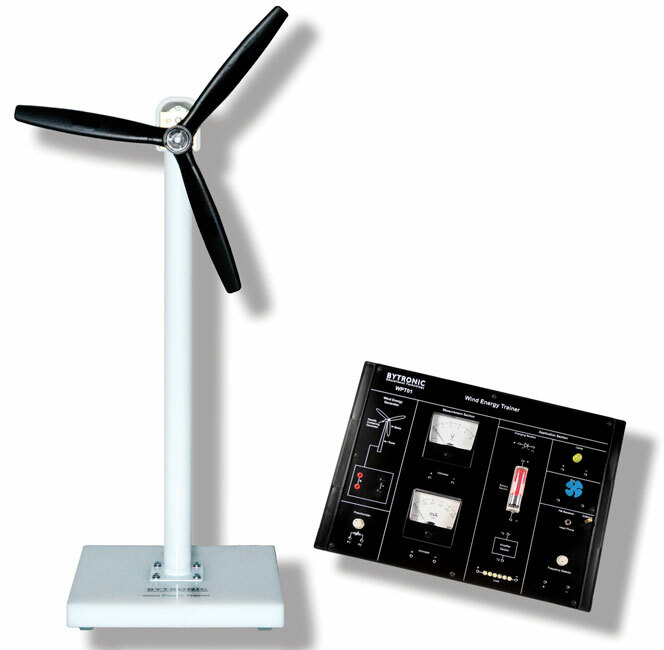 The Wind Power Trainer introduces the fundamentals of wind power and the conversion of kinetic energy into electrical energy through a wind turbine. This can be monitored with the built in voltmeter and ammeter to measure the voltage and current produced. Energy produced is used to power an on board fan, radio, LED lights and charge batteries.